When visiting this beautiful city in February, we discovered that picking hotels in Marrakech is a difficult job. Many of the highly praised and priced hotels and riads, received less than favorable reviews in tripadvisor. We chose to consult this site again, as it has collected an impressive number of reviews of most major places of accommodation all over the world, and may be a good correction to glossy pictures on different websites. Another challenge is location. Whereas most hotels in major European cities may offer precise information on location, on a city map we found that similar information for Marrakech was insufficient. As we booked the Eden Andalou Spa & Resort last January, we did so believing that it was located close to the city centre. This was certainly not the case. We had consulted Google maps and found that the information there was misleading. It was, in fact close to 10 miles away from the city centre. 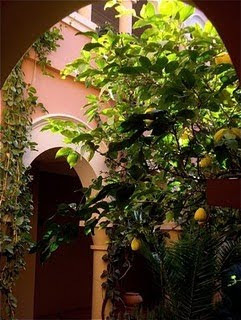 The best idea is to book a Riad hotel. Many of the old houses in the city are centered around one or two enclosed courtyards. 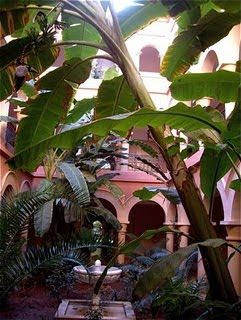 An increasing numbers are converted into Riad hotels or guesthouses. 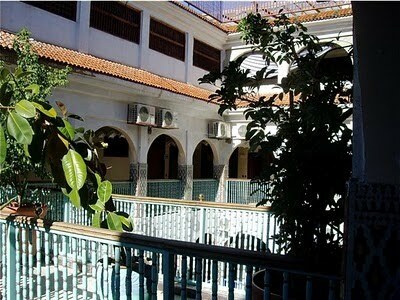 This time we would like to stay in a riad in the city's medina. I have already checked a number of Riads on tripadvisor and cross checked with prices on my favourite hotel booking sites www.venere.com, hrs.de and flight+hotel package available on www.norwegian.no. Lowest: venere.com 7 nights per fare EUR 897, highest: tripadvisor EUR 932.